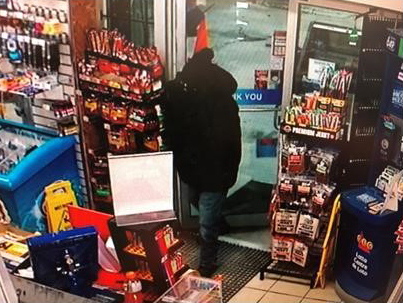 BELLEVILLE – The Quinte West OPP are asking for the public’s help in finding a man suspected of armed robbery over the weekend. 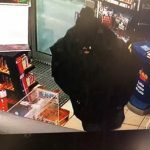 On Sunday shortly after midnight, officers were called to a robbery at a gas bar on Dundas Street West in Quinte West. 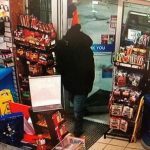 The thief fled on foot with an undisclosed amount of cash, and the OPP canine and emergency response teams attempted to find him without success. The man is described as white, between the ages of 25 and 45 and between five feet seven inches and five feet nine inches tall. 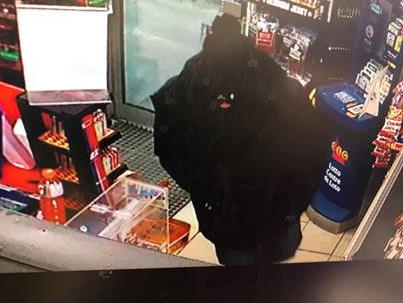 He was wearing a black puffy winter jacket, a large black toque, a black face mask, black sunglasses, blue jeans and black ankle-height winter boots. Anyone with information is asked to contact the OPP at 1-888-310-1122 or Crime Stoppers at 1-800-222-8477. Callers may be eligible for a reward of up to $2,000.